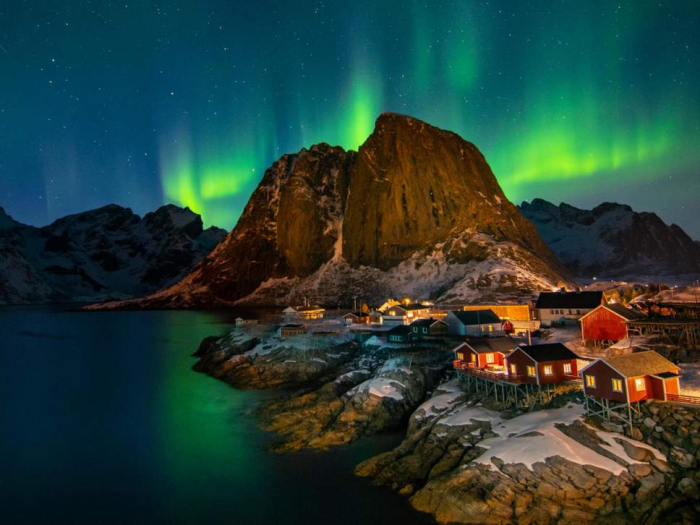 The largest party in Norway’s parliament has delivered a significant blow to the country’s huge oil industry after withdrawing support for explorative drilling off the Lofoten islands in the Arctic, which are considered a natural wonder. Norway’s biggest oil union, Industry Energy, which has been a long-time ally of Labour, has attacked the party’s new stance on drilling in Lofoten, which comes less than two years after an internal party compromise on the issue. “It creates imbalances in the policy discussions for an industry that’s dependent on a long-term perspective and we can’t accept that,” Frode Alfheim, the union’s leader, told the Sydney Morning Herald. The move comes days after Norway’s government gave the go-ahead on Friday for its $1trillion (£760bn) oil fund – the world’s largest sovereign wealth fund – to invest in renewable energy projects not listed on stock markets. Billions are expected to be spent on wind and solar power projects. It is the latest indication that wealth accumulated through fossil fuels is being redirected towards future profits in renewable energy. Greater numbers of industries and countries have begun fossil fuel divestment strategies, citing future risks to their business and economic models.